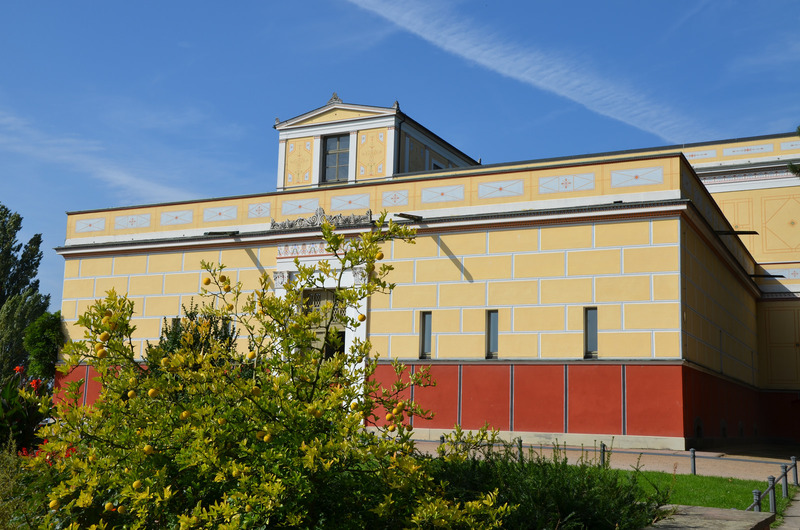 Built in the 1840s in the Bavarian town of Aschaffenburg, the Pompeiianum (called Pompejanum in German) is an idealized reconstruction of a Roman house based on excavations in Pompeii. It is picturesquely located high on a terrace ridge overlooking the River Main. Now a unique tourist attraction, the building is a testimony to the enthusiasm for Antiquities in the 19th century. 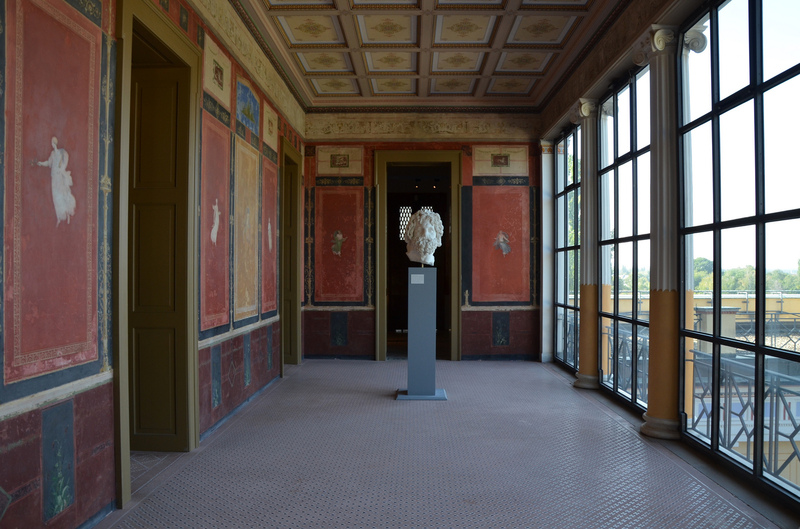 The Pompeiianum was built between 1840 and 1850 by order of King Ludwig I of Bavaria who had been inspired by the excavations in Pompeii. 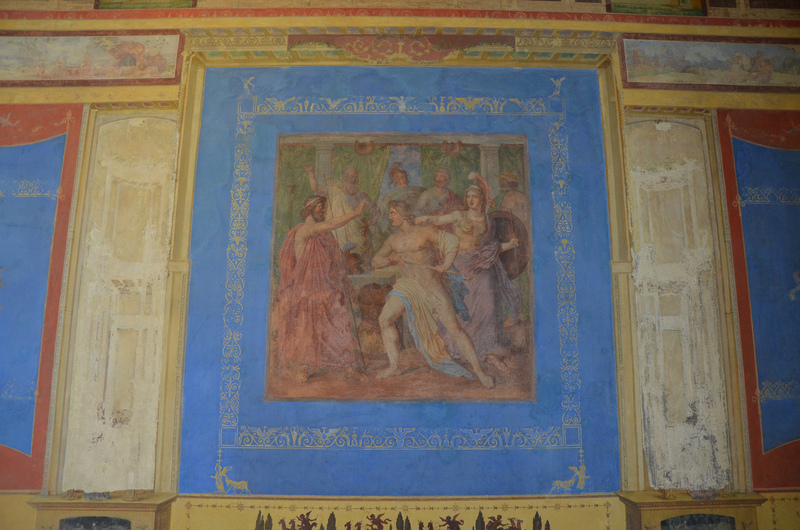 It was loosely modelled on the House of the Diosuri (Casa dei Dioscuri) in Pompeii. 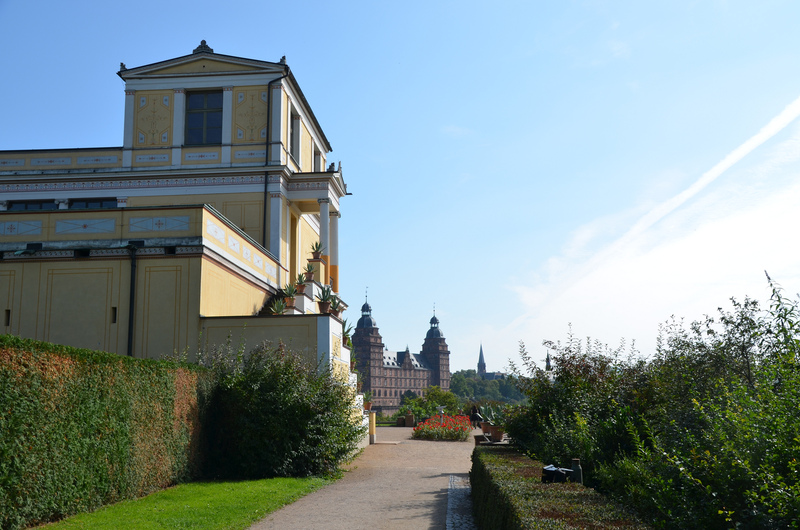 The King chose to built the Villa in Aschaffenburg because of its mild, sunny climate and its attractive position. The Pompeiianum was never intended to be a royal residence. 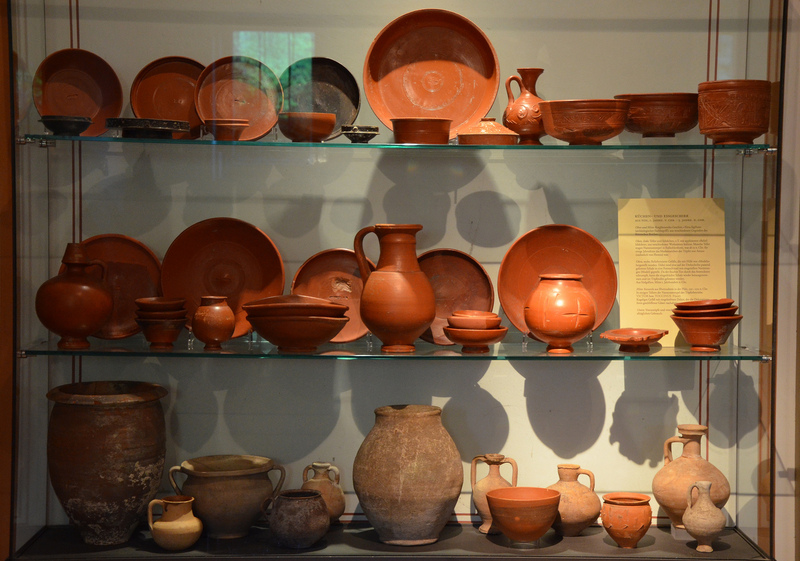 It was a place where art lovers could study antiquity and see how life was like in a Roman house. 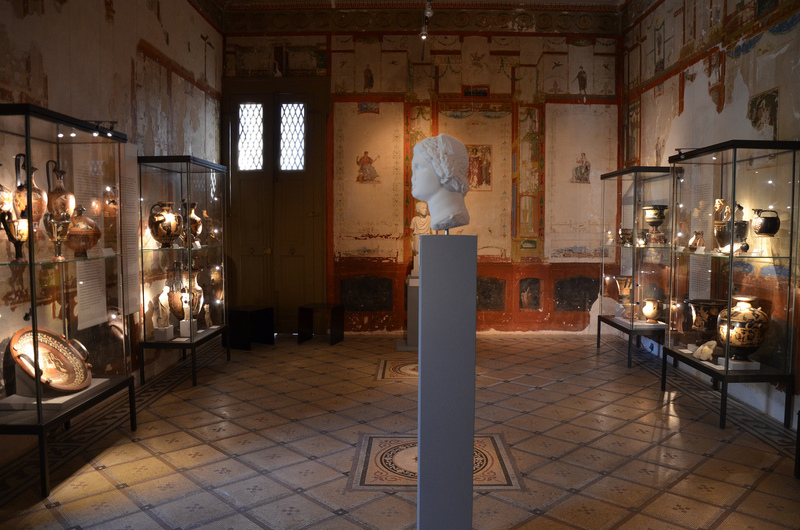 Visitors stepping into the Pompeiianum find themselves transported back 2000 years into the world of a Roman patrician. The rooms in the house are situated around the central atrium, an open inner courtyard which acted as the reception and living area. 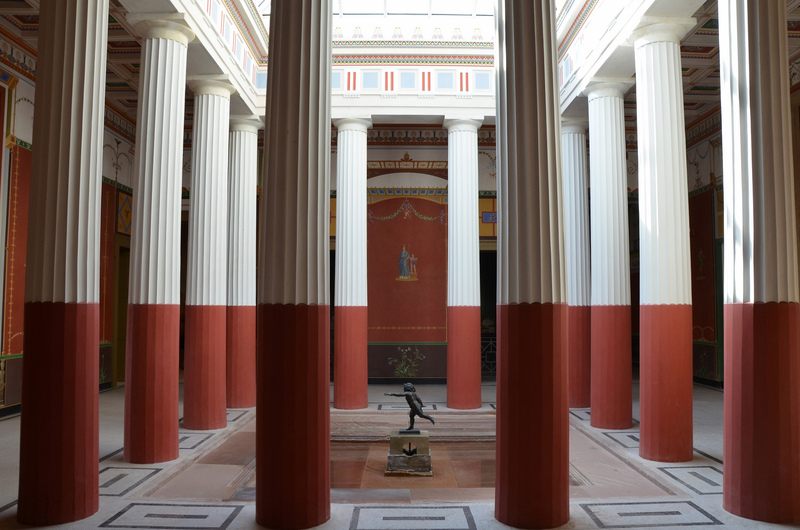 Cubicula (bedrooms) are arranged around all four sides of the atrium providing the perfect setting for original works of Roman art. 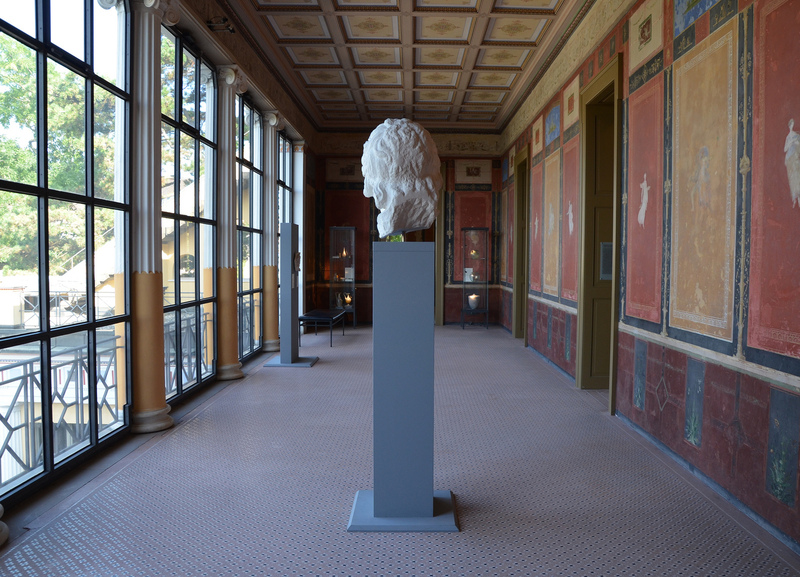 Since 1994, Roman artefacts from the State Antiquities Collection and the Glyptothek in Munich are now on display inside the rooms of the Pompeiianum. 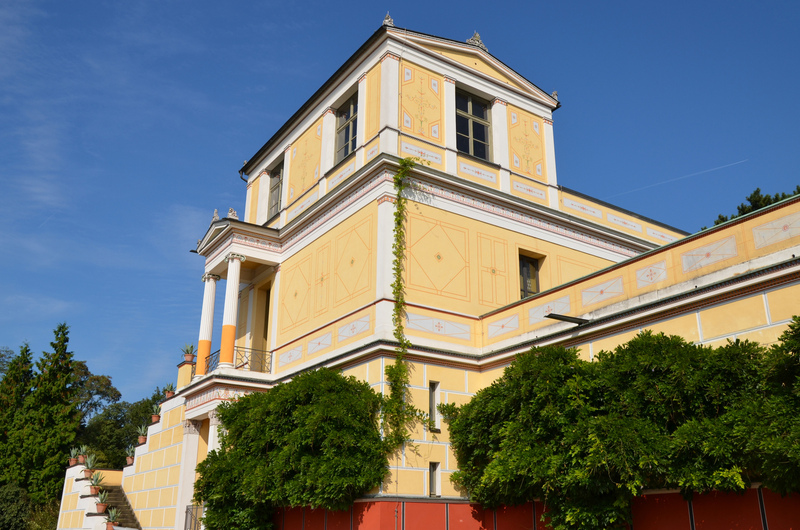 As a philhellene, Ludwig I patronized the arts and commissioned many neoclassical buildings, especially in Munich. He was also a frenetic collector. Through his agents, he managed to acquire such pieces as the Medusa Rondanini, the Barberini Faun, and the figures from the Aphaea temple on Aegina. 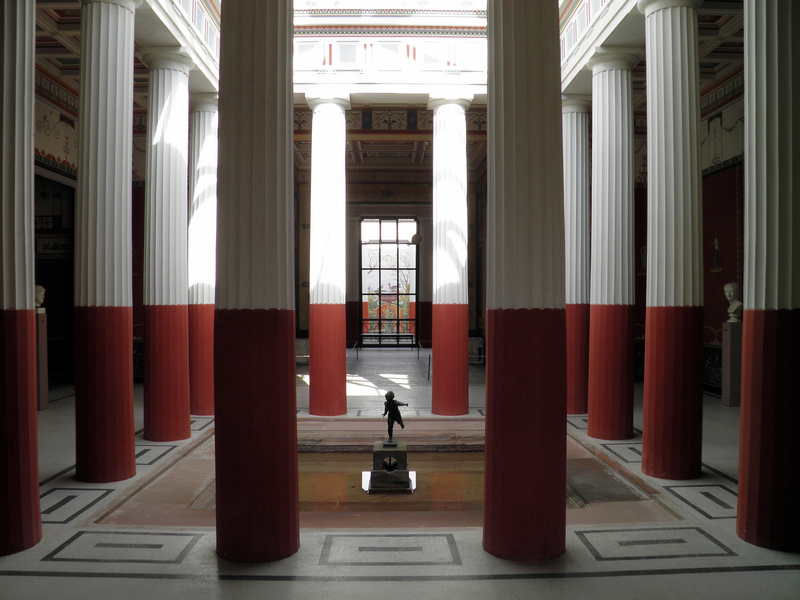 The Glyptothek, which he commissioned, houses his collection of Greek and Roman sculptures. 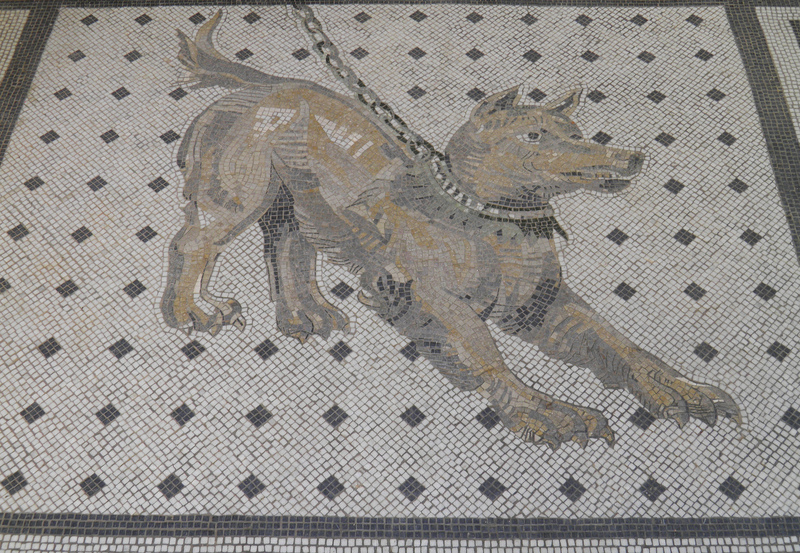 The splendid decoration of the interior and the mosaic floors were copied or adapted from ancient models. Directly behind the atrium, opposite the entrance, is a room open on two sides (though both sides could be closed with curtains or folding doors in Roman times), the tablinum. The tablinum was the office in a Roman house, the master of the house (paterfamilias) centre for business, where he would receive his clients. 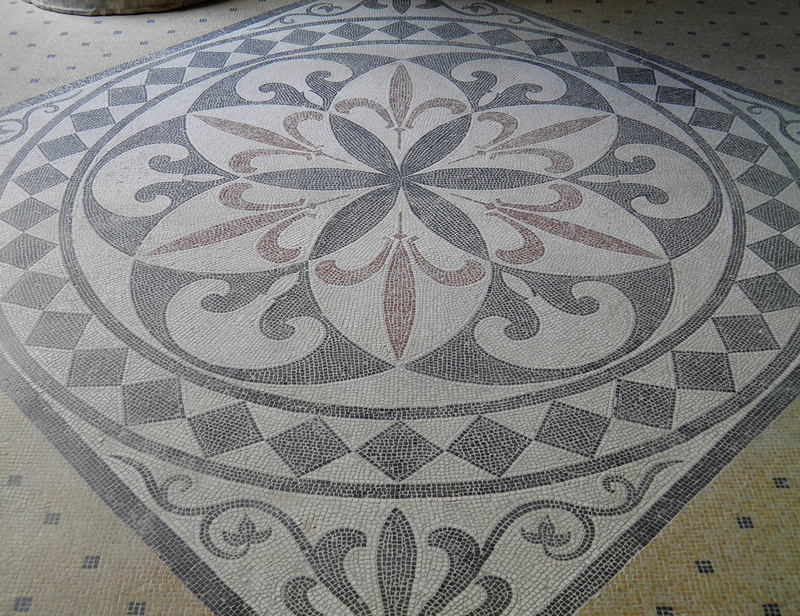 It often had an attractive mosaic floor and wall paintings. The Roman domus was typically designed so that anyone standing in the vestibule could see straight through the atrium and tablinum to the colonnaded garden in the back of the house (peristylium). This has clearly been recreated in the villa. Instead of surrounding their houses with large lawns and gardens, the Romans created their gardens inside their domus. 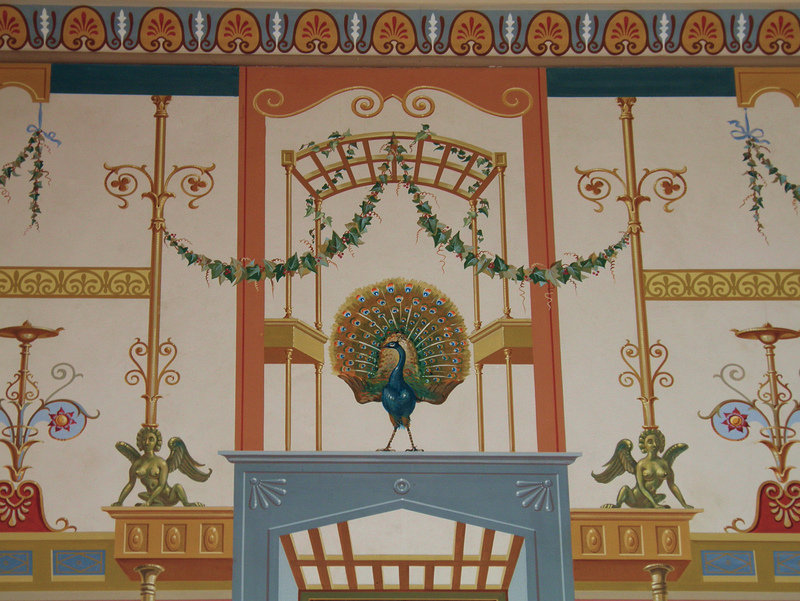 The peristylium was an open courtyard within the house; the columns surrounding the garden supported a shady roofed portico whose inner walls were often embellished with elaborate wall paintings. The back part of the house is centred around the peristylium much as the front centred on the atrium. 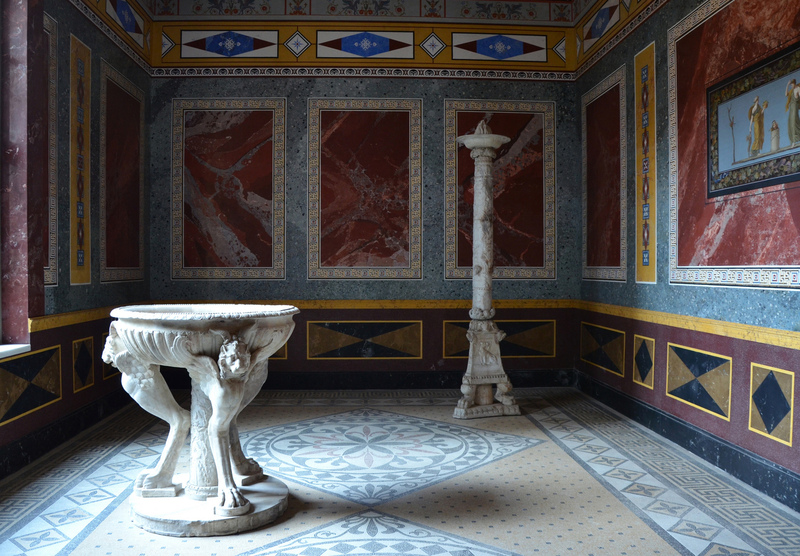 Surrounding the peristyle in the Pompeiianum are the summer triclinium, the winter tricinium. 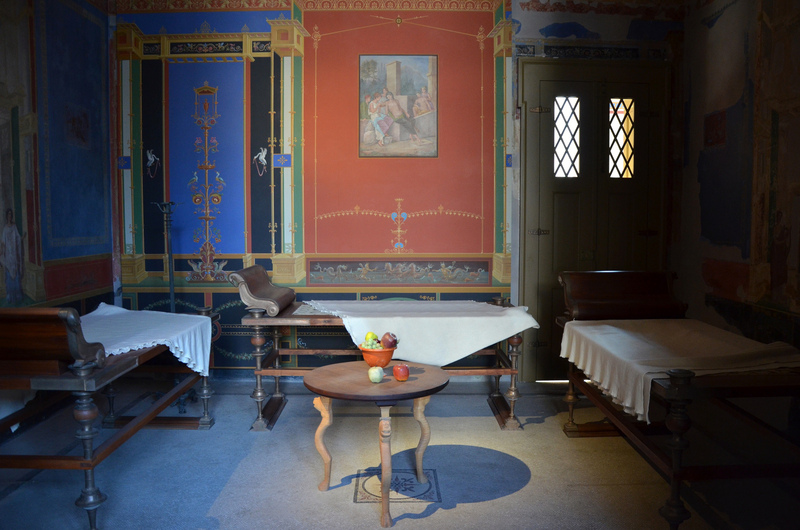 A triclinium is a formal dining room. It was named after the three couches (klinai, known as lectus triclinaris) typically found in this room. Each klinē was wide enough to accommodate three diners who reclined on their left side on cushions while some household slaves served multiple courses, and others entertained guests with music, song, or dance. 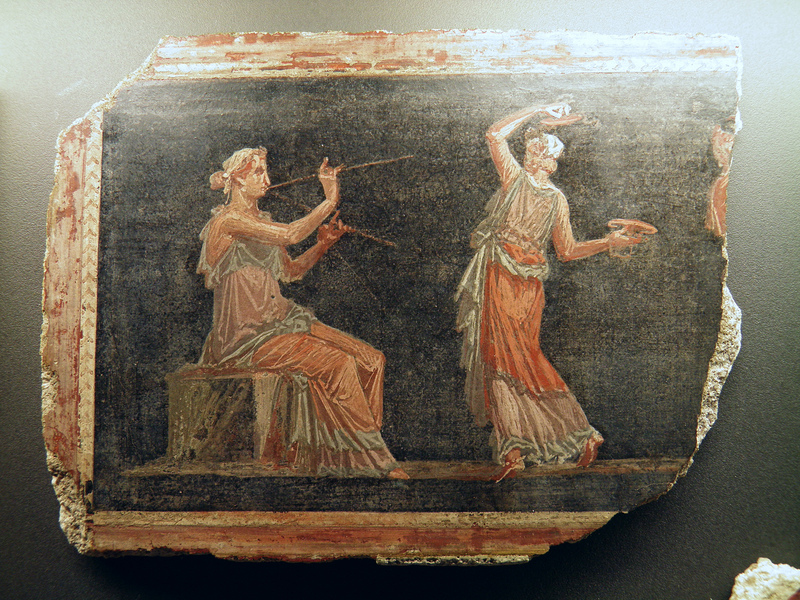 Dining rooms, like other rooms in Roman houses, often had beautifully painted walls and mosaic floors like the ones reproduced at the Pompeiianum. In addition to the triclinia, surrounding the peristylium, are the culina (kitchen) and a single latrine. Wealthy matronae did not prepare meals; that was the job of their household slaves. 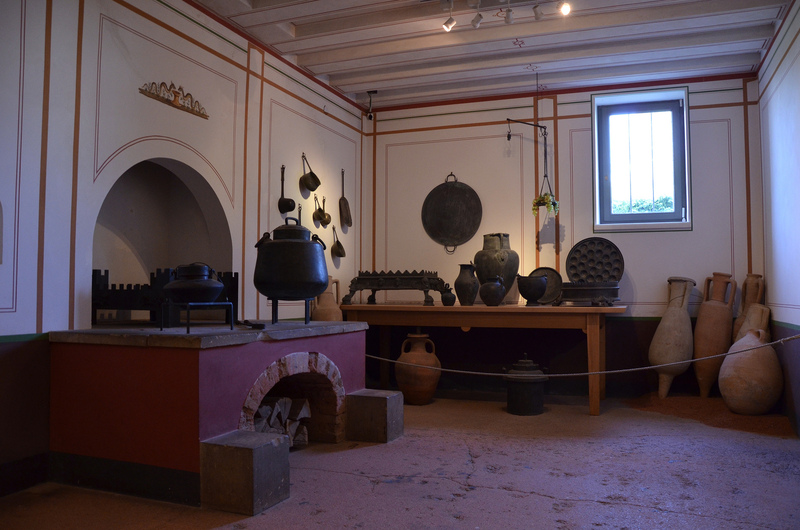 The kitchen is complete with replica utensils and cooking wares. Baking was done in ovens, whose tops were used to keep dishes warm. 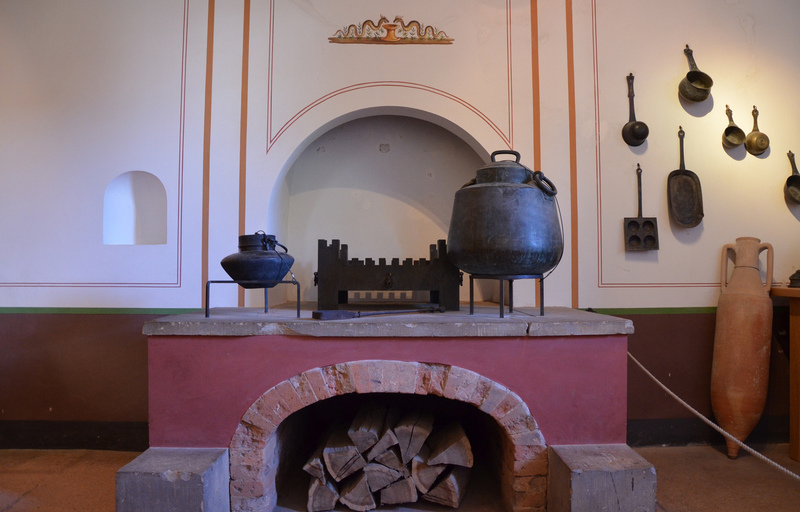 Embers from the oven could be placed below metal braziers for a form of “stove-top” cooking as seen in this reconstructed kitchen. 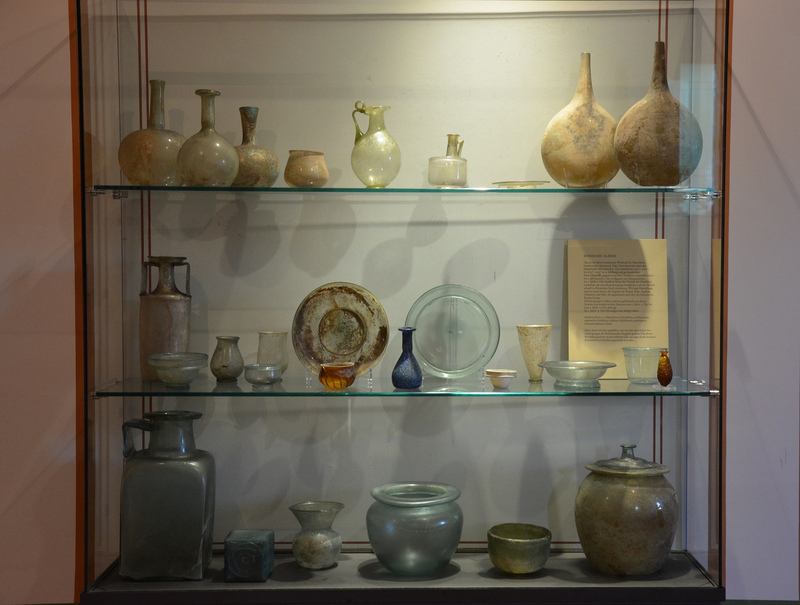 Antique Roman glass, bronze vessels and Terra sigillata ware are among several authentic items on display too. Beside the kitchen is a tiny room, no bigger than a cupboard, but one which often intrigues visitors most. It’s a Roman latrine. 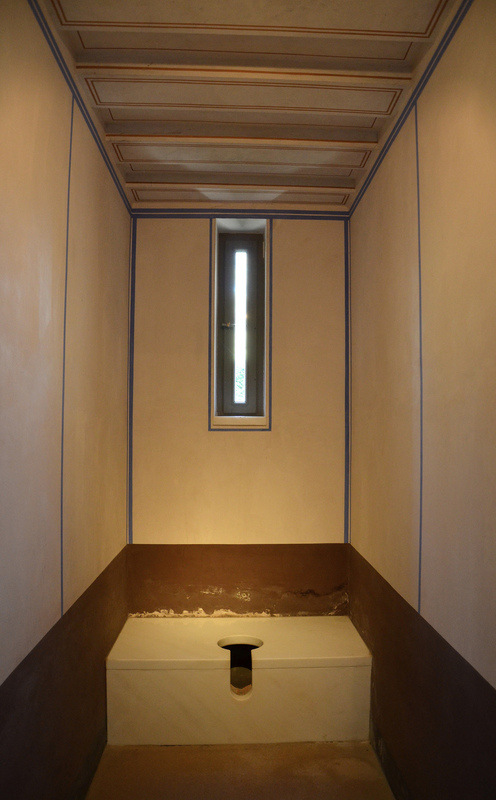 Single latrine in the house were located in or next to the kitchen. This was a typical arrangement which enabled the latrine to be used for the disposal of kitchen waste. 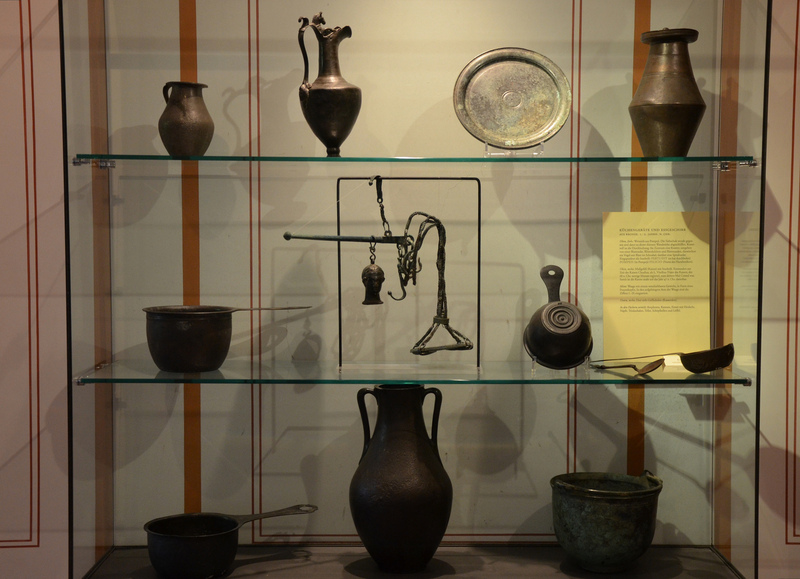 Upstairs are more cubicula (bedrooms) where several display cases have been installed, displaying ancient household objects, medical and cosmetic utensils, jewellery, children’s toys and oil lamps. 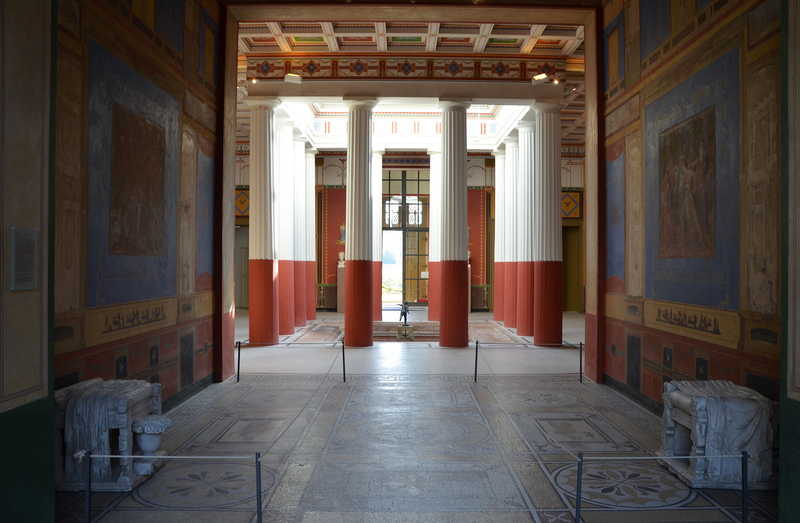 In World War II, the Pompeiianum was heavily damaged by Allied area bombing but it was totally reconstructed and restored. It opened to the public for the first time in 1994. The Pompeiianum after the Word World II bombings. The Pompeiianum after the World World II bombings. 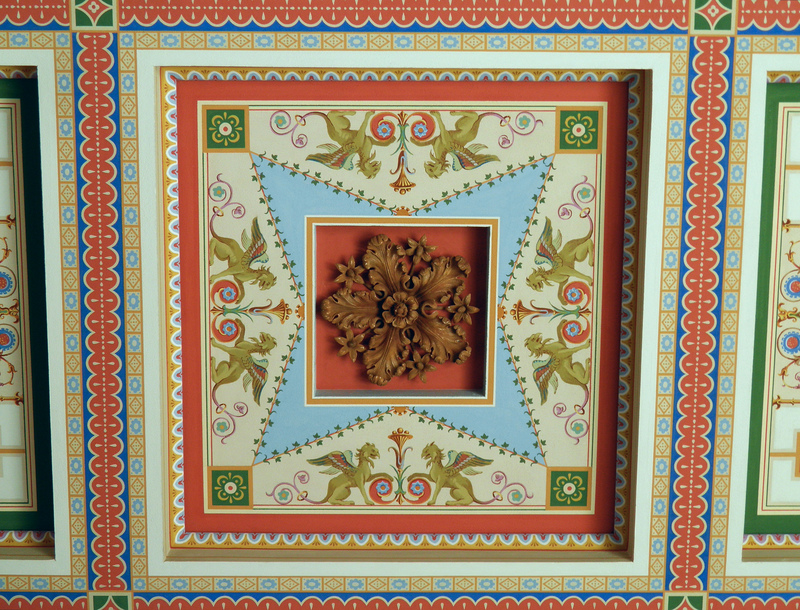 In March 1995 the restoration of five rooms on the upper floor began and these new rooms have been open to visitors since July 2002. 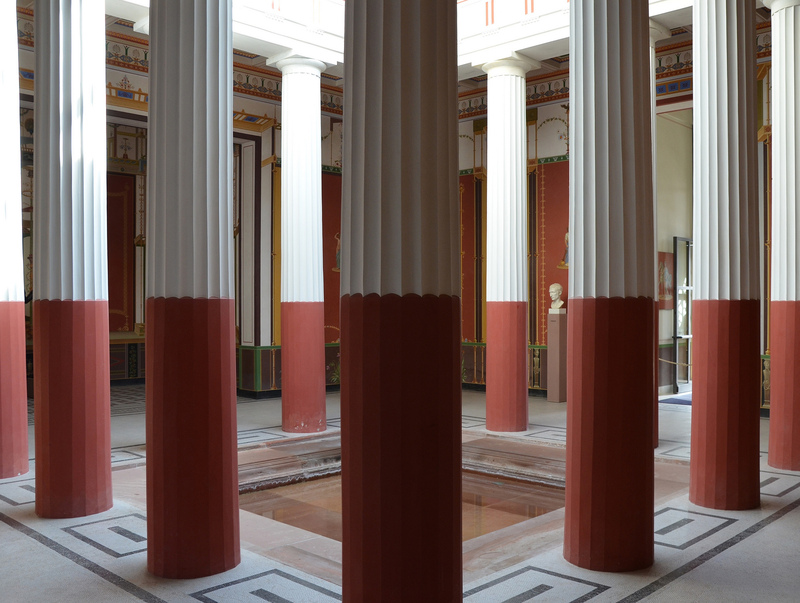 The ancient works of art exhibited on a permanent basis originate for the most part from the State Collections of Antiquities and the Glyptothek in Munich, which co-oversee the Pompeiianum as a branch museum. Since 2009 the Collections of Antiquities and the Glyptothek have also presented special exhibitions that change every year. 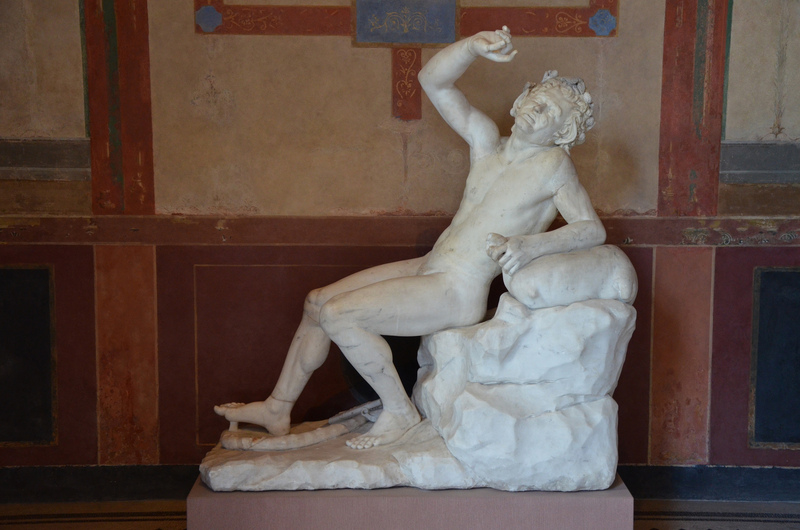 The exhibition “The Immortals – The Greek Gods” is currently being shown until October 2014. 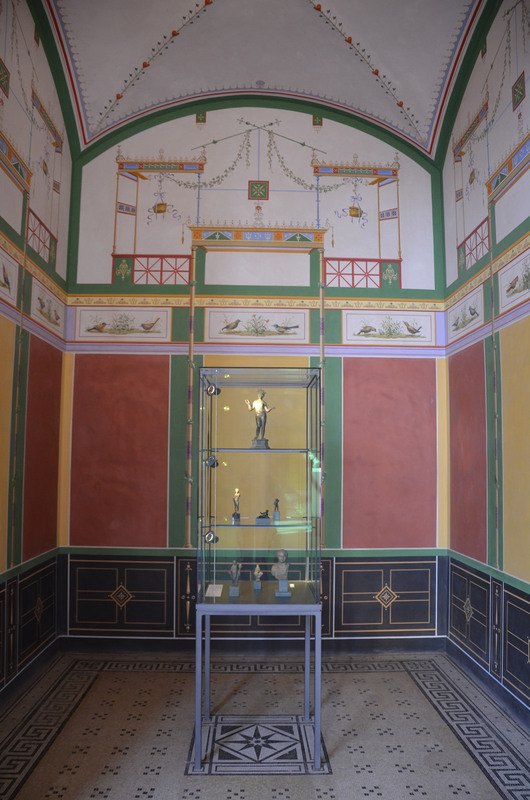 The Pompeiianum enables visitors to get a vivid impression of what a Roman villa looked like and how life was lived in the domus. It is open daily except Mondays 9:00 to 18.00 from April 2 to October 12. Now I have more of a visual picture of an upper-class Roman house when I’m reading Roman novels! Gorgeous photos! Love this article. Also, the statue next to Herc, who is that a representation of? Not familiar with that presentation.